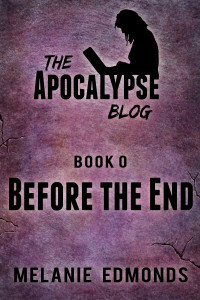 I have been talking about re-issuing the Apocalypse Blog ebooks for some time now. I received a few comments on the first book that proved it needed attention (much to my own chagrin, but we live and learn). In an effort to address the issues identified, I had an editor go through the whole series and give me feedback. After the sales started to flag, I also had new covers created. And then life got in the way and the project fell by the wayside. Sadly, it hasn’t been at the top of my list. Until now. 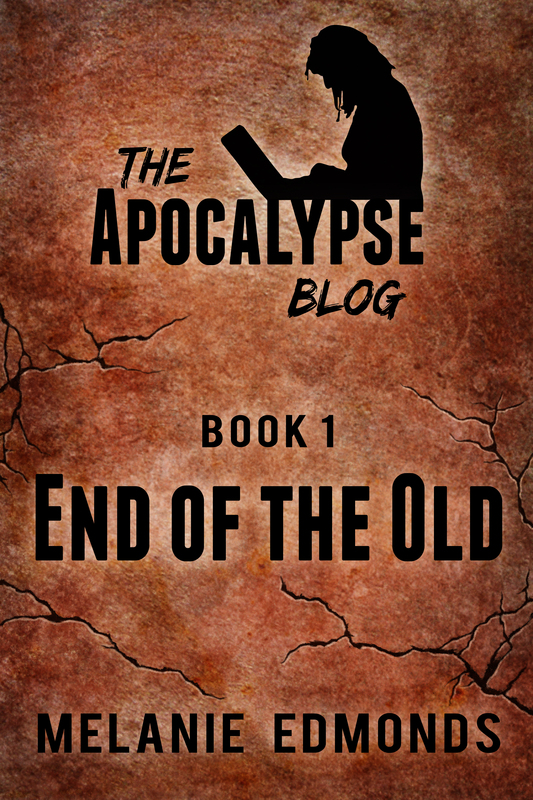 Over the past couple of weeks, I have been going through the first book(s) (Book 1: End of the Old and the short prequel Book 0: Before the End), editing pretty heavily, and updating things like links and covers. It has been an interesting process so far. Going back over writing I did in 2009, I’ve been noticing patterns and habits, some of which I have since made an effort to rid myself of. I also have too many commas. It’s something I habitually try to edit out of my work (my first drafts are always riddled with unnecessary commas). 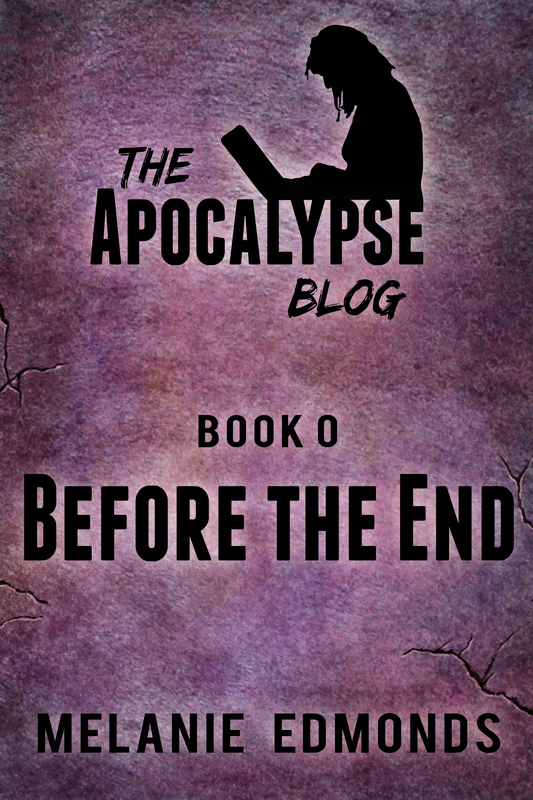 The Apocalypse Blog isn’t too bad in this regard, but there are still too many and it reads better now I’m taking some of them out. I used dashes between clauses instead of proper punctuation. I think I noticed this habit sometime during writing the Apocalypse Blog and stopped doing it, but apparently that wasn’t during the span of the first book. Now, it’s not something I would ever do (on purpose); I’ve become something of a fan of the semi-colon for the type of pause in a sentence that a dash used to stand for. As I’m going through this edit, where a sentence has only one dash in it – that is, it’s not used for an aside like this – I am replacing it with a colon, semi-colon, or just breaking the sentence off. I’m much happier with the sentences after they’re challenged this way. Something I’m noticing for the first time is: I hyphenate often. Usually this is for double-barrelled descriptors, which is fine, but sometimes it joins two words together to make something new. Faith’s voice played around with language a lot and some of what she was describing gave me scope to do this. Reading it over again now, I notice that there are a lot of instances of this and I’m changing many of them. Some I’m removing the hyphen from; others I’m rewording to remove the phrase entirely and creating something that’s a little more easily understood. In places, I was ambitious with what I was trying to do with the language and imagery; sometimes it worked and sometimes it didn’t. I figure that if any of the images don’t flow for me now, my readers probably have the same issue, so they can be improved by being changed. Writing is a process of changing and learning and changing some more, and I think this retrospective has been a valuable opportunity for me. Some of it is in how far my writing has come since I first penned the Apocalypse Blog. Some of it is seeing my work through an editor’s eyes as I go through the feedback, and some is picking out other things that I can improve upon (like the hyphenation). It’s also taking me a lot longer to work through this edit than I had anticipated. I’m glad I started it when I had some time to play with; this is an opportunity that shouldn’t be rushed. I’m excited to get these new editions tidied up and releasable. While I’m updating and refining things, I’m going to be taking a look at the layout and general appearance of the ebooks, and making improvements there if they need it. Pricing will also be reviewed and most likely changed. I’m looking forward to relaunching these books, sending a fresh version of this beloved story out into the world. For those who have bought it already, you should get the changes for free. Watch this space. Hopefully it’ll entice new readers to try the series, too!